“Montessori was an incredible experience. 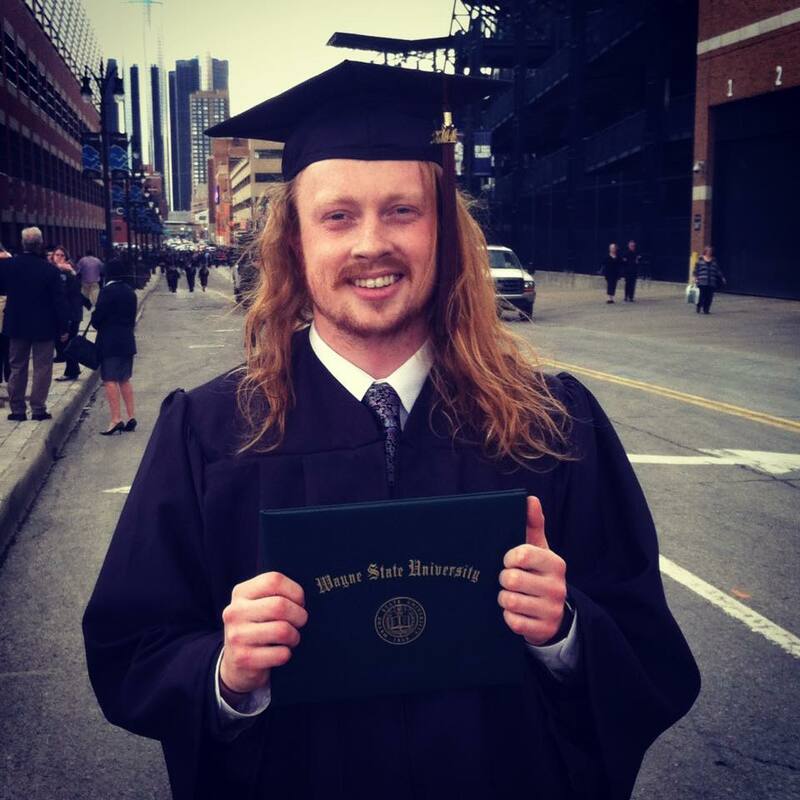 With a passion for the arts, I never felt as though I was doing something wrong for pursuing what I loved!” Danny is currently an Academic Services Officer at the Department of Music at Wayne State University. From Kathleen: "I am currently on the premed track at Kalamazoo College after graduating early. I would have never had the opportunity to do so if I had not gone to a school that made such advanced academics seem fun." From Ronnie: “More than anything, I would say Montessori gave me a sincere appreciation for diversity, as well as showing me how important it is to work on developing interpersonal skills from a young age. Ronnie and Kathleen are both students at Kalamazoo College. “Montessori has provided me with a learning and coping ability that I would not have received at any other school.” Maryanne plays hockey for the University of Minnesota. After graduation she plans to continue playing in the US or overseas. She is majoring in human resource development and minoring in sports management. "I went all the way through Montessori, from pre-k through 6th grade, and I count my experience there as some of the happiest and wholesome times of my life. MCH was dedicated to learning, but more importantly, to fostering imagination and creativity. Montessori was not only a fun place to learn and explore, but also a safe place. The teachers cared for each and every student--they knew that what mattered was who you are, not what you know. They honored each student's individuality, allowing for differences in interests, learning styles, and learning paces." Lucy graduated from the University of Michigan School of Music, Theatre, and Dance and the Bard College Conservatory Graduate Vocal Arts Program. She is now in New York City where she is continuing to perform. Darris is currently living in NYC and working as a Social Advertising Analyst for BuzzFeed. Cedric is attending U of M full time and working at the university’s Center for Educational Outreach and with a military child assimilation program. “Montessori - the teaching philosophy and broader community - certainly played a substantial role in molding my personality. Because of my time at Montessori I'm more open-minded, creative and generally balanced in my approach to life. I wouldn't trade my time there for anything.” Zach works in Marketing and Brand Systems at IBM in NYC. From Alyse: "Montessori allowed me to learn the way I wanted to learn. As a kid I didn't know how to appreciate that, but now I realize what an incredible gift it was to have that sense of freedom and confidence in my learning style from the beginning." From Elayna: “There are many times in my creative work when I wonder how everything will come together. Montessori taught me to not only trust, but surrender to the process." Elayna and Alyse traveled to Japan and bicycled the 1000-mile 88 Temple Pilgrimage route together. Now Alyse works as a copy editor in Minneapolis and Elayna continues to do creative work after finishing an illustrated book about their journey. "My Montessori education taught me the life skills and values that have helped shape me into the individual I have become today. I am forever grateful for my Montessori experience, and I would highly recommend Montessori for any child." Thomas is a photographer, and recent graduate of Wayne State University with a Bachelor of Fine Arts, living in Detroit, Michigan. “In every cover letter and job interview, I always find a way to mention that I am a product of a Montessori pedagogy. I explain how I learn best when I am both challenged and given the freedom to develop my own method. Employers love independent hard workers and I have MCH to thank for those skills.” Ian (pictured with his dad) works in D.C. as a Legislative Correspondent to Congressman Joseph P. Kennedy III. “My brother and I attended in the early 80s. We both went to pretty good colleges (Harvard and Williams) but without a doubt MCH was the best educational experience of our lives. When our parents put our respective wedding announcements in the Lansing papers, they listed us not only as graduates of those colleges, but just as proudly as graduates of the Montessori Children's House of Lansing.” Clare is a high school science teacher in Connecticut.